The Tuesday bird walk went to the Englishman River Estuary, Plummer Road side in Parksville. The morning started with a slight drizzle, which soon tapered off, but with strong winds on the water side. Highlights of the walk were the sight of a mother Killdeer with four young. These little ones spent most of their time under the belly protection of the adult, but they did venture out giving us quick views. We also spotted a Wilson's Phalarope feeding with another adult Killdeer in the mud flats. We had a great sighting of a Western Tanager perched on a branch in the meadow area, and three Cedar Waxwings perched atop a conifer. Wilson's Phalarope: John Purves Photo. Thirteen birders (including one visitor from Calgary), saw or heard the following 40 species. A special thanks to Rhonda and Paul for leading the walk this week! The Tuesday bird walk will be going to Springwood Park on June 04, 2013. Saturday morning I noticed a large bird (very wide humped wings, long scissor tail) soaring above our property in Nanoose Bay. Later that morning when my husband and I were driving into Parksville, I again saw the same bird soaring over the town along the main drag. I pointed him out to my husband and mentioned that I had forgotten about the one earlier in the morning. We looked him up (I am assuming it is the same bird as Nanoose is fifteen minutes into Parkville. We have determined it to be a Magnificent Frigatebird. It was soaring very high but very distinctive wing span and long tail. Sightings at Morningstar Ponds at French Creek. 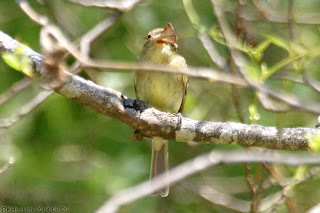 Western Wood-Pewee: John Purvis Photo. Red-necked Phalarope: John Purves Photo. Cliff Swallow: John Purves Photo. The sky was full of Barn Swallows, Northern Rough-wing Swallows, Tree Swallows, Cliff Swallows and Violet-green Swallows over the ponds. On the ponds were Red-necked Phalaropes, Wood Ducks, Mallards and Ring-necked Ducks. The Sunday bird walk went to the Morden Colliery Historic Park in south Nanaimo. The morning was cloudy and calm. There was a symphony of bird sounds as we started the bird walk. Over twenty Black Swifts circled high above the river. A Northern Goshawk was catching a thermo high above us giving us great views. We spotted a Red-breasted Sapsucker tapping on a tree just off the trail. We watched as a Red-breasted Nuthatch brought food to a nest hole in a tall snag several times. Barred Owl, Northern Goshawk, Northern Flicker, Pileated Woodpecker, Downy Woodpecker, Red-breasted Sapsucker, Rufous Hummingbird, Pacific-slope Flycatcher, Warbling Vireo, Northwestern Crow, Common Raven, Band-tailed Pigeon, California Quail, Violet-green Swallow, Barn Swallow, Black Swift, Chestnut-backed Chickadee, Brown Creeper, Red-breasted Nuthatch, Golden-crowned Kinglet, Bewick's Wren, Pacific Wren, Marsh Wren, European Starling, Swainson's Thrush, American Robin, Orange-crowned Warbler, Black-throated Gray Warbler, Wilson's Warbler, Yellow Warbler, Common Yellowthroat, Western Tanager, Black-headed Grosbeak, Red-winged Blackbird, Brown-headed Cowbird, Spotted Towhee, White-crowned Sparrow, Song Sparrow, Dark-eyed Junco and Purple Finch, Pine Siskin. Four Whimbrel were spotted between Newcastle Island and Protection Island. Twelve Red Crossbills were seen at backyard feeders along Oakmont Place in Nanaimo. 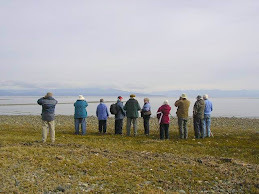 The Tuesday bird walk went to the Shelly Road side of the Englishman River Estuary in Parksville. The morning started off with rain showers but soon turned quite pleasant. We heard a Wilson's Warbler singing and then caught a glimpse of him as he flew over us. A Yellow Warbler was perched close to the trail for a long time giving us great views as he looked us over from his perch. We watched a Merlin give chase to a Northern Harrier, who was flying low over the meadow in search of prey. We spotted four Spotted Sandpipers feeding along the edge of the river. We heard and saw two Western Tanagers singing and feeding across the river. Three Western Tanagers flew over the river and landed in a conifer tree above us giving us good views through the scopes. Ten birders saw and heard the following fifty species. Barn Swallow, Chestnut-backed Chickadee, Red-breasted Nuthatch, Bushtit, Bewick’s Wren, Pacific Wren, Swainson’s Thrush, Varied Thrush, American Robin, European Starling, Warbling Vireo, Yellow Warbler, Wilson's Warbler, Western Tanager, Spotted Towhee, Savannah Sparrow, Song Sparrow, White-crowned Sparrow, Brown-headed Cowbird, Dark-eyed Junco, House Finch and Pine Siskin. An American Dipper with chicks was seen at the Morden Park in Nanaimo. A Western Tanager was seen in the Seal Bay area of Courtney. A Cinnamon Teal was seen at the east end of Brookwood Park Pond in Nanaimo. An Olive-sided Flycatcher was spotted at the Little Qualicum River Village. 7pm, Nanoose Naturalists will hold their June Meeting at the Nanoose Library Hall in Nanoose Bay. The speaker will be Geologist Tony Ransom and the topic ---"Earthquakes - Why We Should Be Concerned About the Next BIG ONE!" The Tuesday bird walk on May 28 will be going to the Plummer Road side of the Englishman River Estuary in Parksville. We will meet at Parksville Bay next to the Lions Playground at 9:00 a.m. or at the corner of Plummer Road and Shorewood Drive on the ocean side of Highway 19a at about 9:10 a.m. The Sunday Bird Walk on June 02, 2013, will be going to Neck Point Park in Nanaimo. We will meet at the bird store at 9:00 a.m. or at the parking lot at Neck Point off Hammond Bay Road about 9:15 a.m. Ten birders saw and heard the following fifty species. not sixty as I counted earlier! The Tuesday bird walk on May 28 will be going to the Plummer Road side of the Englishman River in Parksville. The Sunday bird walk went to the Linley Valley in Nanaimo. The morning was sunny but windy. We heard and then had great views of a Wilson’s Warbler and a Cassin’s Vireo very close to the trail. A MacGillivray’s Warbler was singing as he perched high in a tree giving us great views from the trail. Two Warbling Vireos showed up in the parking area at the end of the walk. 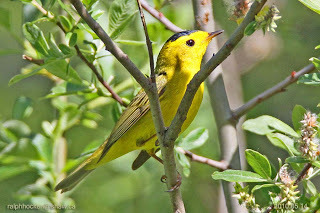 Wilson’s Warbler: Ralph Hocken Photo. Mallard, Wood Duck, Bufflehead, Hooded Merganser, Bald Eagle, Turkey Vulture, Downy Woodpecker, Northern Flicker, Pileated Woodpecker, Rufous Hummingbird, Pacific-slope Flycatcher, Warbling Vireo, Cassin’s Vireo, Northwestern Crow, Common Raven, Purple Martin, Violet-green Swallow, Chestnut-backed Chickadee, Brown Creeper, Pacific Wren, Bushtit, Swainson's Thrush, American Robin, Orange-crowned Warbler, Black-throated Gray Warbler, Wilson's Warbler, MacGillivray’s Warbler, Western Tanager, Black-headed Grosbeak, Evening Grosbeak, Red-wing Blackbird, Brown-headed Blackbird, Spotted Towhee, Song Sparrow, Dark-eyed Junco, Purple Finch, American Goldfinch and Pine Siskin. Swainson’s Thrush were calling at dawn near Colbourne Drive in north Nanaimo. A Merlin, an American Dipper and a Great Horned Owl were seen at Lot Ten in Qualicum Beach. An Olive-sided Flycatcher was spotted feeding from a tall snag behind Colbourne Drive in north Nanaimo. Eight Western Tanagers were seen along Marlborough Drive in the Departure Bay area of Nanaimo. One greater White-fronted Goose was seen on Departure Bay in Nanaimo. The Tuesday bird walk went to Lot Ten in Qualicum Beach. The morning was clear and sunny with calm winds. A Black-headed Grosbeak was singing loudly when we arrived at Lot Ten. We spotted the Grosbeak high in a tree and shortly after another Grosbeak started singing to give us a very musical start to the morning. American Robins were everywhere this morning. We heard Pacific-sloped Flycatchers, Orange-crowned Warblers, Black-throated Gray Warblers, Wilson's Warblers and Townsend’s Warblers singing all morning. We watched a Belted Kingfisher chase a Varied Thrush up the river flying just above the water. A Pacific-slope Flycatcher and Vaux’s Swifts gave us quick looks as they flew over. We spotted a Pine Marten looking down at us from a small tree to add a little more nature to our walks! Northern Flicker, Pacific-slope Flycatcher, Vaux’s Swift, Warbling Vireo, Northwestern Crow, Common Raven, Violet-green Swallow, Chestnut-backed Chickadee, Red-breasted Nuthatch, Pacific Wren, Swainson's Thrush, American Robin, Varied Thrush, European Starling, Orange-crowned Warbler, Black-throated Gray Warbler, Wilson's Warbler, Townsend’s Warbler, Western Tanager, Spotted Towhee, Song Sparrow, Black-headed Grosbeak, Brown-headed Cowbird, Purple Finch and Pine Siskin. The pine marten is a carnivorous member of the weasel family. The marten's coat is characterized by soft, dense fur which varies in color from tan to dark brown and mostly black on the feet and legs. Lighter colored martens tend to have grayish brown tails, while darker animals have dark brown to almost black tail fur. The fur around the muzzle varies from gray to light brown with a short dark line running up the forehead from the corner of each eye. The marten's throat and upper chest are a tan color. The ears give the pine martens a cat like look.. Martens vary in body length from 48 to 65 cm, not including the tail which can be a third of the overall body length. They may weigh up to nearly 2 kilos. Males are larger than females. Martens have sharp claws which they use for climbing as well as for holding their prey. Martens depend on voles and mice, which are their primary food source over much of Southern Vancouver Island The second important food source is berries, especially blueberries, followed by small birds, eggs, and vegetation. Marten will also eat squirrels and if food is scarce enough will occasionally exhibit cannibalism. The Marten is a an opportunistic feeder. Carrion such as the remains of wolf kills, dead spawning salmon remains or winter killed deer and elk are all eaten. Although martens are suited for nocturnal foraging, they are also active during mornings and evenings, especially during the long days of summer. The Pine Martens of Vancouver Island are rare to see and they only inhabit the south Island. A Yellow-headed Blackbird was seen along the Nanoose Estuary just off Northwest Bay Road in Nanoose Bay. A Sooty Grouse was spotted walking just off Chemainus Road not far from the railway tracks in Ladysmith. A pair of American Kestrels was seen in the 3400 block of Harris Crescent in Whisky Creek. Eurasian-collared Doves are visiting Cowichan Bay. A female Black-headed Grosbeak, an American Goldfinch, male and female Red-wing Blackbirds were seen along Dunster Road in north Nanaimo. A Ring-necked Pheasant was seen in the Divers Lake area of Nanaimo. Arrowsmith Naturalists meet at Knox United Church on Pym Road in Parksville. Don Doyle will give a talk about Vancouver Island Marmots. All are welcome. For more info-phone 250-752-7588. 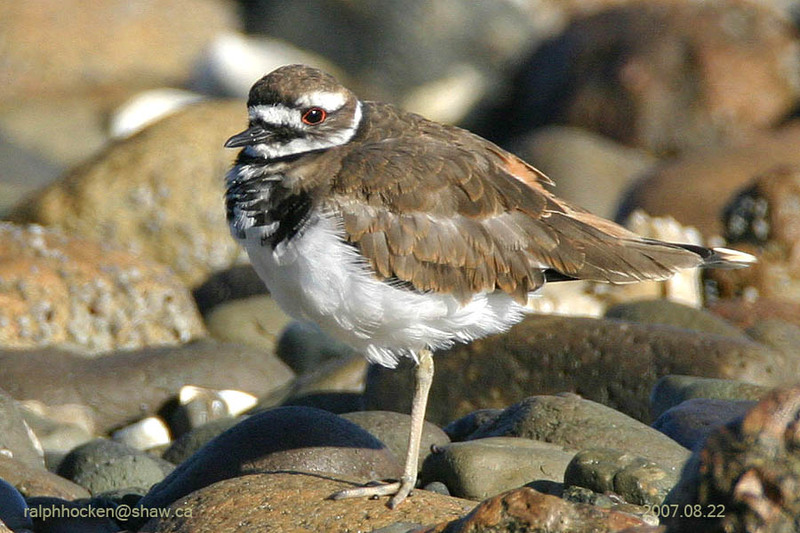 The Tuesday bird walk on May 21 will be going to the Shelly Road side of the Englishman River Estuary in Parksville. We will meet at Parksville Bay next to the Lions Playground at 9:00 a.m. or at end of Shelly Road on the ocean side of Highway 19a at about 9:10 a.m. The Sunday Bird Walk on May 26, 2013, will be going to Morden Colliery Historic Park. We will meet at the bird store at 9:00 a.m. or at the end of Morden Road off Highway One south of Nanaimo about 9:25 a.m.
WildResearch is pleased to announce that WildResearch's Fall Pelagic Trip Fundraiser will run on Sunday September 15, 2013! The upcoming pelagic trip will follow the same itinerary as WildResearch's previous pelagic trips; the ship we charter (M.V. Frances Barkley) will leave from the dock in Ucluelet BC at 7am on Sunday Sept 15, travel to La Perouse Bank, and return to Ucluelet at 2:30pm (on the same day). WildResearch's pelagic trips are a fantastic opportunity to view pelagic seabird species rarely seen from shore click here for previous trip details and photos. WildResearch will offer an early bird booking rate of $200 from April 1 - July 31 2013, after which the price will increase to $250. In addition to purchasing a ticket, all trip participants will be required to hold a current WildResearch membership at the time of the pelagic trip. For more details, see membership information. Proceeds generated from the pelagic trip fundraiser will go towards running WildResearch’s research programs. Space on the boat is limited! We are providing this information to our current members in good standings, with a one-month advanced notification about the trip's date and an early opportunity to book the trip. WildResearch will begin advertising the pelagic trip trip beyond its membership by the end of April. · purchase your early bird ticket ($200) using the below PayPal button OR by mailing a cheque made payable to WildResearch. · renew your WildResearch membership ($25 for students, $30 for non-students, active for 1 full year after purchase) using the PayPal button on our website click here to renew membership OR by mailing a cheque payable to WildResearch. · complete the required membership forms indicated on our website and email OR mail to WildResearch. We are very excited about the fall pelagic trip! Looking forward to the great birding and an opportunity to meet with old friends, and make new ones. If you have any questions or inquires about the pelagic trip email us at: info [at] wildresearch [dot] ca. The Tuesday bird walk went to Lot Ten in Qualicum Beach. The morning was clear and sunny with calm winds. 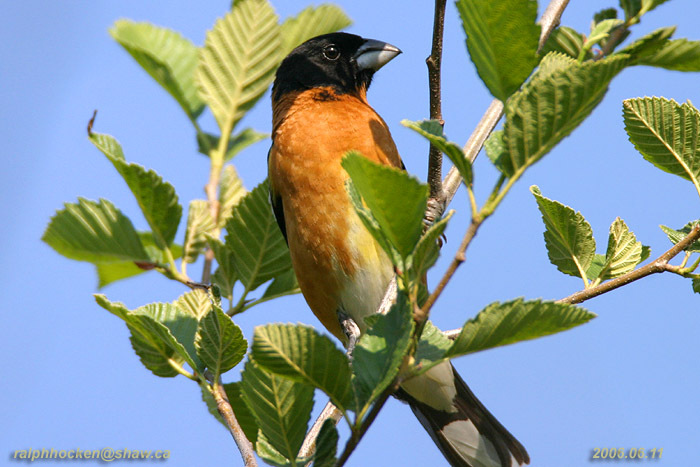 A Black-headed Grosbeak was singing loudly when we arrived at Lot Ten. We spotted the Grosbeak high in a tree and shortly after another Grosbeak started singing to give us a very musical start to the morning. American Robins were everywhere this morning. We heard Pacific-sloped Flycatchers, Orange-crowned Warblers, Black-throated Gray Warblers, Wilson's Warblers and Townsend’s Warblers singing all morning. We watched a Belted Kingfisher chase an Varied Thrush up the river flying just above the water. A Pacific-slope Flycatcher and Vaux’s Swifts gave us quick looks as they flew over. We spotted a Pine Marten looking down at us from a small tree to add a little more nature to our walks! Martes americana or Pine Marten, American Sable at Lot Ten: John Purves Photo. The Tuesday bird walk on Tuesday May 21 will be going to Shelly Road side of the Englishman River Estuary in Parksville. Pine Marten at Lot Ten: John Purves Photo. The Sunday bird walk went to the Beaver Ponds in Nanoose Bay. The morning was cloudy with sunny periods. 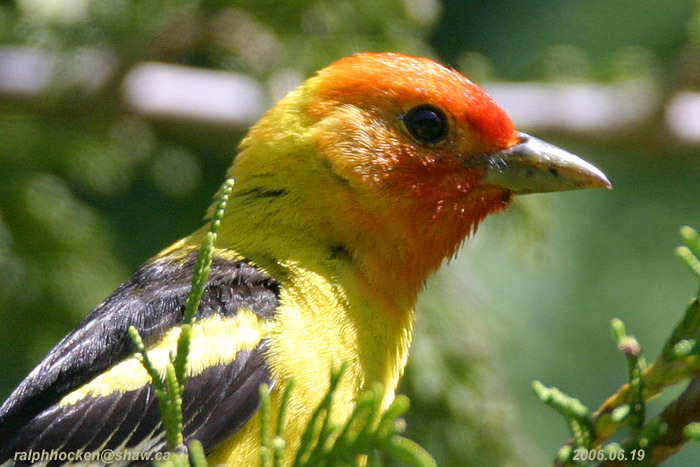 We heard and saw Cassin’s Vireo, Warbling Vireo, Orange-crowned Warbler, Black Throated-grey Warbler, Wilson’s Warbler, Townsend’s Warbler and Black-headed Grosbeak. We were entertained by Swainson’s Thrush, Willow Flycatchers, Pacific-sloped Flycatcher and Western Tanager singing throughout the morning. Canada Geese, Mallard, Hooded Merganser, Turkey Vulture, Bald Eagle, Rufous Hummingbird, Northern Flicker, Pileated Woodpecker, Common Raven, Northwestern Crow, Violet-green Swallow, Chestnut-backed Chickadee, Red-breasted Nuthatch, American Robin, Swainson’s Thrush, European Starling, Ruby-crowned Kinglet, Cassin’s Vireo, Warbling Vireo, Orange-crowned Warbler, Black Throated-grey Warbler, Wilson’s Warbler, Townsend’s Warbler, Willow Flycatcher, Pacific-sloped Flycatcher, Western Tanager, Black-headed Grosbeak, Spotted Towhee, Chipping Sparrow, Song Sparrow, Dark-eyed Junco and Pine Siskin. A Black Headed Grosbeak was seen in a backyard along Meridian Way in Parksville. A Sooty Grouse was spotted along Westwood Ridges in Nanaimo. A Wilson’s Snipe was seen at the Cottonwood Golf Club in south Nanaimo. A Green Heron was spotted at the Englishman River Estuary on the Plummer Road side in Parksville. The Tuesday bird walk went to the Plummer Road side of the Englishman River Estuary in Parksville. The morning was sunny and warm with calm winds and the ocean was as smooth as glass. 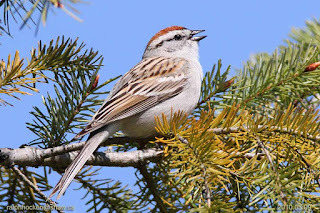 A singing Chipping Sparrow greeted us at the start of the walk. We saw several male Rufous Hummingbirds perched and then doing their courtship dives during the walk. We heard a Warbling Vireo singing near the river and then we had great views of him as he put in an appearance. 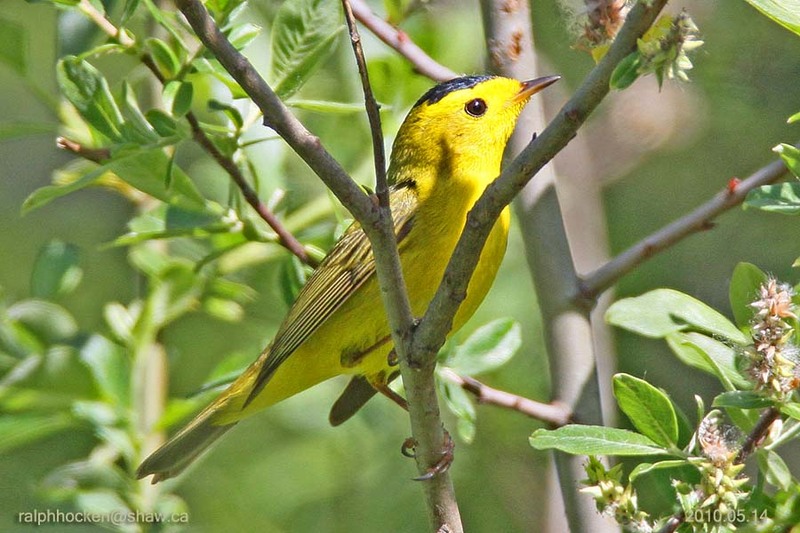 Several Orange-crowned Warblers were spotted feeding near the trail. 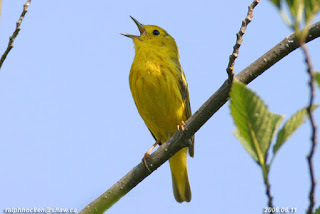 We caught a glimpse of a singing Yellow Warbler near the trail. Over two hundred Brant were on the Strait of Georgia and fifty more flew in and landed near shore. Ten Pacific Loon, two Marbled Murrelet and one Pigeon Guillemot were on the Strait. Five Western Sandpipers, three Least Sandpipers, two Semipalmated Plovers, two Braid’s Sandpipers and one Greater Yellowlegs were feeding on the mud flats as the tide started to come in. House Finch and Pine Siskin. A pair of Red-tailed Hawks was seen at the south end of the Nanaimo Airport and near Adshead Road in south Nanaimo. A Western Tanager was seen in a backyard along East Wellington Road near Holland Avenue in Nanaimo. 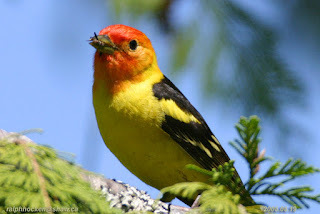 The Tuesday bird walk on May 14 will be going to Lot Ten in Qualicum Beach. We will meet at Parksville Bay next to the Lions Playground at 9:00 a.m. or at Kinkade Road on the forest side of Highway 19a at about 9:20 a.m. The Sunday Bird Walk on May 19, 2013, will be going to Linley Valley. We will meet at the bird store at 9:00 a.m. or at the end of Burma Road off Lost lake Road about 9:20 a.m. The Tuesday bird walk went to the Plummer Road side of the Englishman River Estuary in Parksville. The morning was sunny and warm with calm winds and the ocean was as smooth as glass. 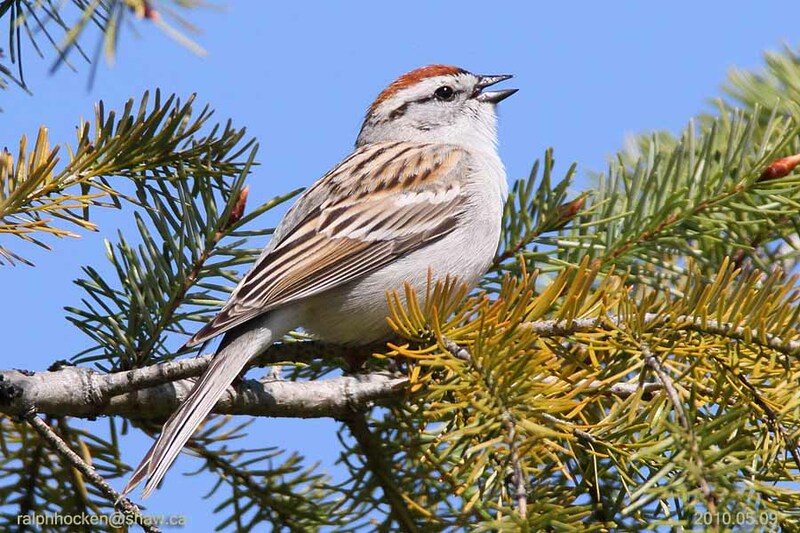 A singing Chipping Sparrow greeted us at the start of the walk. We saw several male Rufous Hummingbird perched and then doing their courtship dives during the walk. We heard a Warbling Vireo singing near the river and then we had great views of him as he put in an appearance. 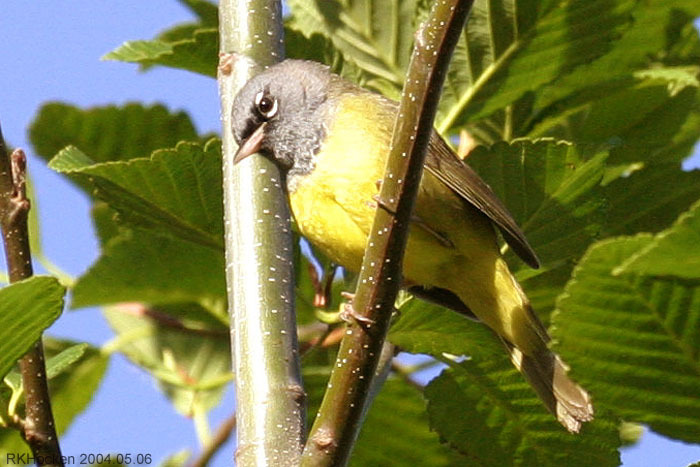 Several Orange-crowned Warblers were spotted feeding near the trail. We caught a glimpse of a singing Yellow Warbler near the trail. Over two hundred Brant were on the Strait of Georgia and fifty more flew in and landed near shore. Ten Pacific Loon, two Marbled Murrelet and one Pigeon Guillemot were on the Strait. Five Western Sandpipers, three Least Sandpipers, two Semipalmated Plovers, two Braid’s Sandpipers and one Greater Yellowlegs were feeding on the mud flats as the tide started to come in. Semipalmated Plover, Western and Least Sandpipers: John Purves Photo. The Tuesday bird walk on May 14 will be going to Lot Ten in Qualicum Beach. Baird’s Sandpiper: John Purves Photo. NANAIMO BIRD REPORT -----" GO BIRDING--EXPLORE NATURE"
The Sunday bird walk went to Legacy Marsh in upper Lantzville. The morning was sunny and warm. We watched a female Rufous Hummingbird gathering nesting material. A Black Throated-grey Warbler caught our attention with his song and we spotted him on the top of a Big Leaf Maple Tree giving us great views. We also heard a MacGillivray’s Warbler singing and then saw him, after a lot of searching, on some short bushes under the Hydro Lines. Mallard, Wood Duck, Turkey Vulture, Bald Eagle, Barred Owl, Red-tailed Hawk, Cooper’s Hawk, Virginia Rail, Rufous Hummingbird, Red-breasted Sapsucker, Northern Flicker, Pileated Woodpecker, Common Raven, Northwestern Crow, Violet-green Swallow, Purple Martin, Band-tailed Pigeon, Chestnut-backed Chickadee, Marsh Wren, Pacific Wren, Red-breasted Nuthatch, American Robin, European Starling, Cassin’s Vireo, Warbling Vireo, Orange-crowned Warbler, Black Throated-grey Warbler, Yellow Warbler, Wilson’s Warbler, Common Yellowthroat, McGillivray’s Warbler, Pacific-sloped Flycatcher, Spotted Towhee, White-crowned Sparrow, Song Sparrow, Brown-headed Cowbird, Red-winged Blackbird, Purple Finch, American Goldfinch, Dark-eyed Junco, Red Crossbill and Pine Siskin. A Black Headed Grosbeak was seen in a backyard along Railway Avenue in Nanaimo. A Violet-green Swallow was spotted sitting on the wire, preening himself in the 1800 block of Deerborne Place in the Departure Bay area of Nanaimo. A Mourning Dove was visiting a backyard feeder for most of the day along Meridian Way in Parksville. Canada Goose, Turkey Vulture, Bald Eagle, Killdeer, Rufous Hummingbird, Red-breasted Sapsucker, Northwestern Crow, Common Raven, Violet-green Swallow , Tree Swallow, Purple Martin, Chestnut-backed Chickadee, Red-breasted Nuthatch, Brown Creeper, Bewick's Wren, Golden-crowned Kinglet, American Robin, Hermit Thrush, Band-tailed Pigeon, California Quail, European Starling, Orange-crowned Warbler, Yellow-rumped Warbler, Black-throated Gray Warbler, Willow Flycatcher, Warbling Vireo, Cassin’s Vireo, Spotted Towhee, Chipping Sparrow, Fox Sparrow, Song Sparrow, White - crowned Sparrow, Golden-crowned Sparrow, Dark-eyed Junco, Brown-headed Cowbird, Purple Finch, Red Crossbill, House Finch and Pine Siskin. Six　Red Crossbills are visiting feeders in a backyard in the Parkwood area of Nanaimo. Four Golden-crowned Sparrows and two White-crown Sparrows were spotted in a garden in the Chartwell area of Qualicum Beach. Over three thousand Greater White-fronted Geese and over five hundred Brant were seen flying over Tofino on the west coast of Vancouver Island. Nanoose Naturalists meet at 7 p.m. at the Nanoose Library Hall on NW Bay Road. The club looks forward to a video presentation by photographer, Eric Pittman, on Hummingbirds of Vancouver Island at their next meeting; Visitors are welcome. For more info, call Joe at 250-468-1728. The Tuesday bird walk on May 07 will be going to the Plummer Road side of the Englishman River Estuary in Parksville. We will meet at Parksville Bay next to the Lions Playground at 9:00 a.m. or at the corner of Plummer Road and Shorewood Drive in Parksville at about 9:10 a.m. 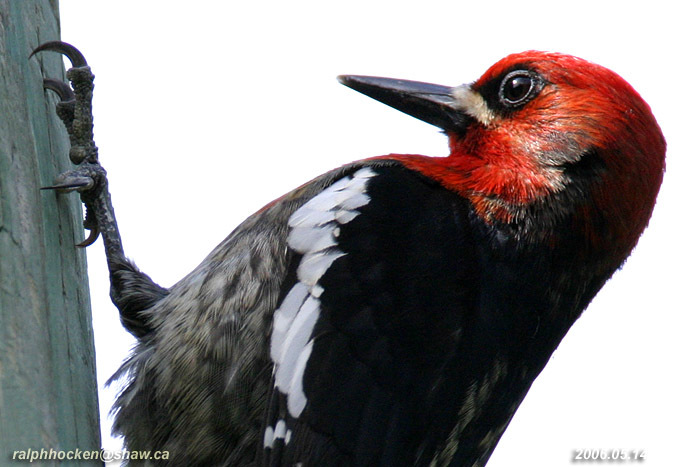 The Sunday Bird Walk on May 12, 2013, will be going to Beaver Ponds in Nanoose Bay. We will meet at the bird store at 9:00 a.m. or about 100 yards past the four way stop on Power Point Road (off Northwest Bay Road) about 9:20 a.m.
·　purchase your early bird ticket ($200) using the below PayPal button OR by mailing a cheque made payable to WildResearch. ·　renew your WildResearch membership ($25 for students, $30 for non-students, active for 1 full year after purchase) using the PayPal button on our website click here to renew membership OR by mailing a cheque payable to WildResearch. ·　complete the required membership forms indicated on our website and email OR mail to WildResearch.